Women's Easy Street, Katerina Mid Heel Slingback Sandals This casual and comfortable sandal is a must have! 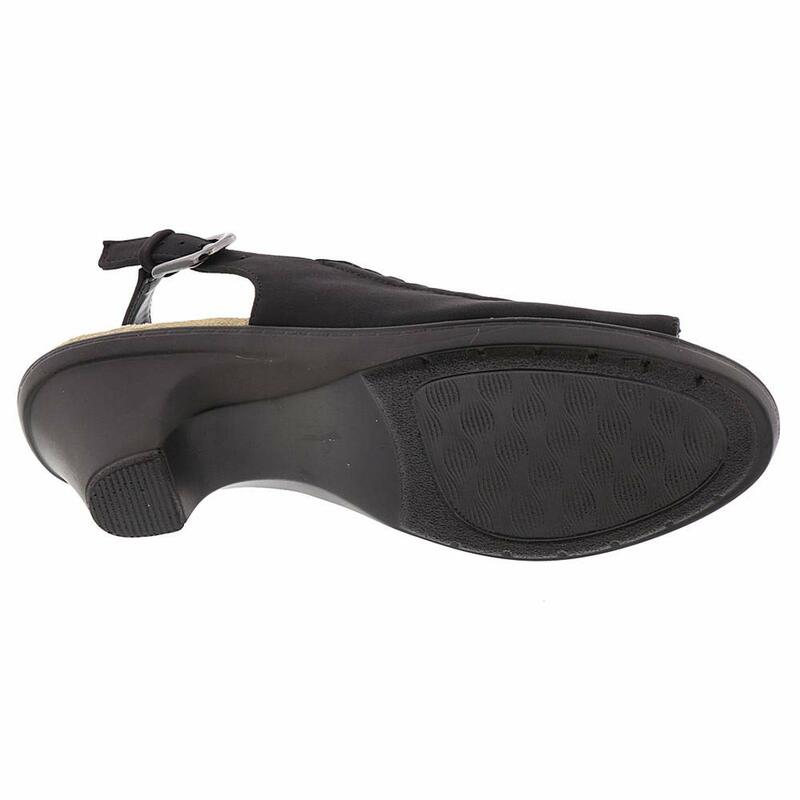 Strappy manmade upper Slingback strap with adjustable buckle closure for a secure fit Smooth manmade linings Comfort Wave padded footbed for added comfort 2 1/2 inch heel Manmade outsole. Heel Height of 2.50 inches Easy Street shoes arecomfortable, casual, durable and stylish. Easy Street shoes have a full collection for wear to work shoes, casual shoes to wear every day and low heeled dressy pumps for evening wear. Here you will find a wide selection of Easy Street Shoes such as round toe flats in neutral colors such as beige, black, and tan. You will also find pointy toe pumps to complement your pencil skirts and tailored suits for work, comfortable sling back patent leather wedges, flat sandals to wear in the warmer months and knee-high boots for colder weather months. At our store you will find an a full range of sizes, colors, textures, and styles to choose from. / Buy with confidence! Easy Street Womens footwear would make a great addition to your shoe collection!